Look at what I bought in Tokyo Disney Land. This is a Mickey Lantern keychain. I made a Mickey copy in carrot. It is absolutely edible. Carved with a thai knife. There are a chicken fry with soft dough (my chicken tempura:)) and pumpkin salad on the picture above. For the salad I used the pumpkin I practiced the thai design in. I never throw away carving waste and my carved fruit and vegetables. I bake and fry them or store in a fridge for the future cooking. Автор: Unknown на Thursday, October 27, 2011 , Ссылки на это сообщение , 4 коммент. I've got an idea to carve the Pumpkin Moon design in a soap. That soap looks like a medallion. It also reminds me a pattern from a ancient shield. I sticked a soap rose to the center and got a magical ancient medallion. I have the other soap with an ancient design. In my eyes that soap looks like a seal of the Middle Ages. The photo has vkusnoeda.com watermark which is the other website of mine. 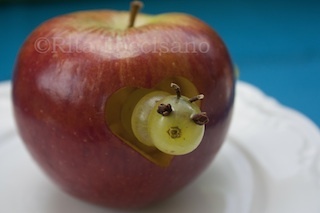 I made the website at the times when I started to learn fruit and vegetable carving art. I hope you will find many ideas for your first steps in carving on there. Автор: Unknown на Sunday, October 23, 2011 , Ссылки на это сообщение , 6 коммент. I carved wavy design in apples this morning practicing my Triangle knife skills. Автор: Unknown на Saturday, October 22, 2011 , Ссылки на это сообщение , 5 коммент. I enjoy carving pumpkin lights. I am not a fan of scary Halloween lanterns. Would love to add a beautiful aspect to my autumn pumpkin crafts. It is getting cold and raining here in October. When I put a light to my pumpkin I feel warm and cozy. This time I made a glamour pumpkin with a moon in it. I call this design Gothic Moon. Continue reading the instruction to find a recipe of a sweet pumpkin dessert. Step 1. Pick up a nice pumpkin for this design. My pumpkin was flat so I adjusted it on its side. You need to cut a leed off and clear the pumpkin inside. 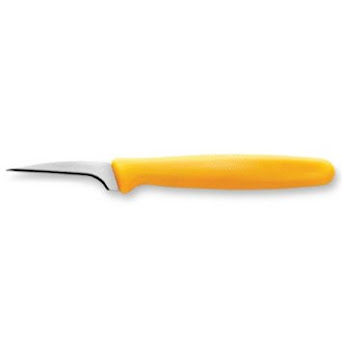 I used my Triangle thai knife for carving my pumpkin. Step 2. Important step. When you clear your pumpkin keep the pumpkin flesh for the dessert we will cook a little bit later. I used a melon baller to scrape the pumpkin inside. Step 3. Drawing the design. This design consists of the series of the circles of the different sizes. Fill each circle with curly details. Step 4. Carve your pumpkin following the scratched design. Step 5. Be sure to connect the curls into a nice pattern. Step 6. I attached this photo to show the work in progress. Step 7. Step by step you are finally done with the carving part! 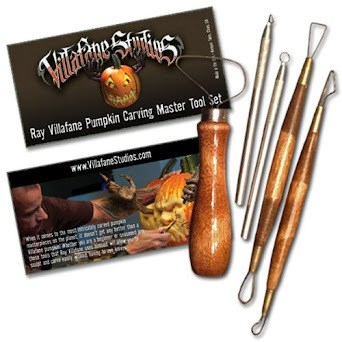 Set a fire inside the pumpkin and enjoy the glamour look of your craft. Now you have time for some cooking. Cut the fruits and pumpkin, mix it together with raisin and honey. Cook it in the oven or microwave 20 min, t 200* C. I used a silicone container for baking the pumpkin dessert. Автор: Unknown на Tuesday, October 18, 2011 , Ссылки на это сообщение , 4 коммент. 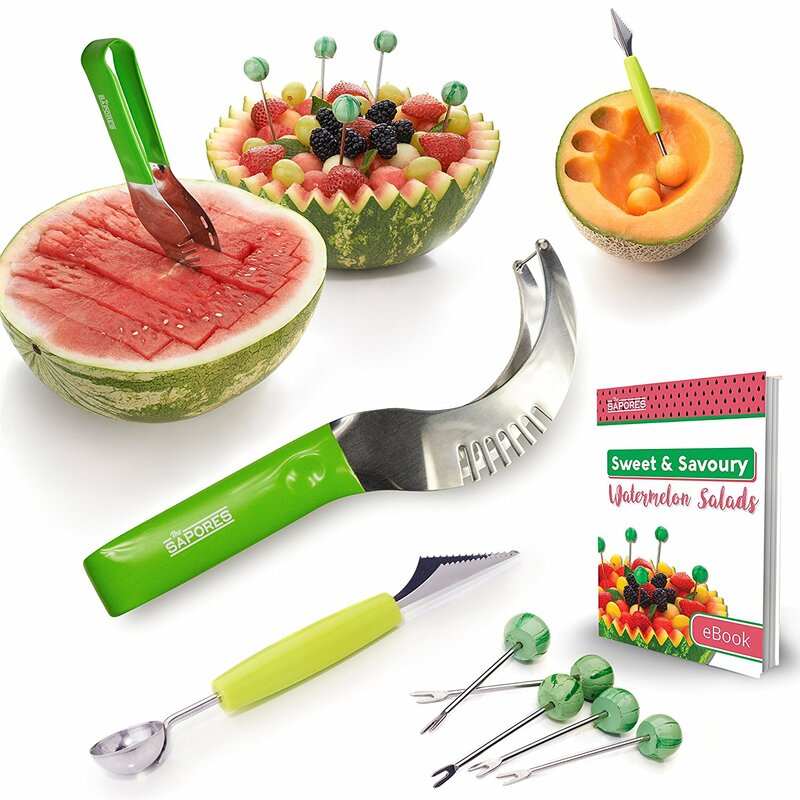 I have written before about my melon carving class in Tokyo. This time I'd like to share my soap carving experience. I am so thankful to my carving teacher in Japan, Mrs.Miho Morita, for accepting me for a soap carving class. Miho-sensei (sensei is a japanese word for a teacher) is a famous carving artist in Japan. Last year her student won a gold medals in the soap carving contest. I think I am so lucky to become one of her students. Mrs.Miho Morita has a blog in English. Miho-sensei has an unigue carving manner. Her soap works are incredibly fine. At the class I've choosen a diffiicult butterfly design with tiny details. We spent two hours carving it. That was challenging! I feel more confident now in making difficult thing. The work of mine. A bird carved in a soap bar. I have other soaps in progress. Will show them up as far as they are completed. I'd like to show some beautiful works of Miho Morita. After the class I met my Sakhalin friend at the appointed place and we went for a walk to Sensoji Temple located at Asakusa district. Sensoji is a must for Tokyo sightseeing. That is a Buddhist complex with a temple, pagoda and a garden. At the temple area you will find many gift stores. It is called Nakamise street. They sell sweets, gifts, kimono, food and other nice things. Sensoji is not just a famous tourist spot, this is a beloved place by japanese people too. Step aside of Nakamise street and you get Geisha City. As we were explaned Geisha City was a name for a restaurant and eating house zone in Edo age. Sounds lovely, doesn't it? Автор: Unknown на Sunday, October 16, 2011 , Ссылки на это сообщение , 2 коммент. In Tokyo I went to a carving demonstration given by Thai chef Mr.Chat Kunsri. He showed how to carve a carnation in a watermelon. When I came back home to Sakhalin I tryed the new skills out. I carved a carnation in a pumpkin. I am posting here the pictures from the demo and my pumpkin. Thai styled watermelon. Demonstration by Mr.Chat Kunsri. Wavy leaves are a difficult part of the design. My try in thai style carving. Carnation carved in a pumpkin from my mom's garden. White baby pumpkin with standing petals. Автор: Unknown на Saturday, October 15, 2011 , Ссылки на это сообщение , 3 коммент. Un'idea creativa per far mangiare le mele ai vostri bimbi? Carving is his hobby. He has no website yet. Martina is a Facebook and blogger friend of mine. This bouquet was a first attempt for Martina to make an edible bouquet. Автор: Unknown на Saturday, October 15, 2011 , Ссылки на это сообщение , 0 коммент. I am back from Tokyo where I visited the 3rd Thai Carving Contest. I am full with impressions about the Event and the whole trip to Japan. Tokyo was safe and friendly to me. Good wheather and nice people have made my trip. I went to Tokyo with my Sakhalin friend. We had some adventures in metro and Disney Sea. Tokyo subway is complicated. There are local, rapid and express trains stopping at one station. They take you to the different destinations and you are not sure about the right train. Finally we managed with it. At the last day of my staying in Tokyo, it was raining. My foot slipped on the floor and I fell down. As a result I've got my umbrella broken, my knees bruised and my foot hurt. That wasn't a serious injury, but I am feeling uncomfortable now. I think that was a kind of compensation for all the credits and gifts from my teachers and the TCA representatives. The Thai Carving Contest was held in a trading center located at Daimon station. Daimon means a Large Gate. A famous Tokyo Tower is the right behind the gate. Tokyo Tower is one of the best veiwing spots for the city scenery. Tokyo Tower, 333 meters height. 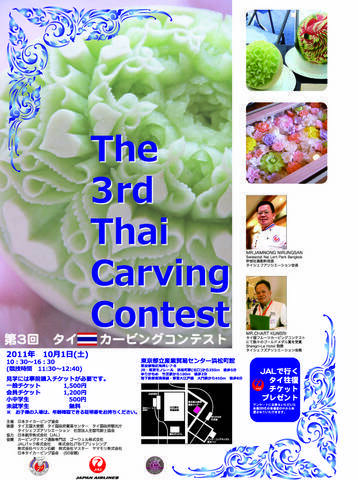 The Thai Carving Event is an yearly event organised by Thai Carving Association (TCA) in Japan. This year it was a two-days event (1-2 October, 2011). 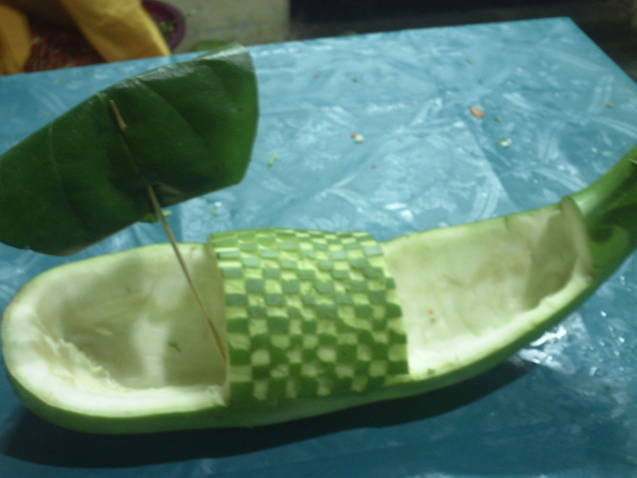 The first day for the contest and the second day for melon and soap carving classes. They had a guest judge from Thailand Mr.Chat Kunsri, a chef in Shangri La Hotel. He was my teacher for thai style melon carving. 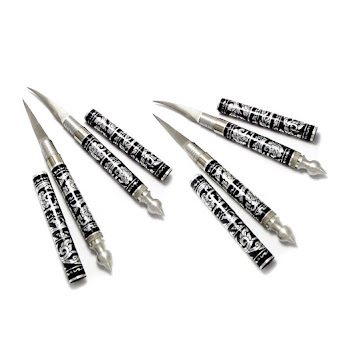 I bought books, soap and knives there. I would like to go to Tokyo more often to learn a fine art of japanese carving. Автор: Unknown на Monday, October 10, 2011 , Ссылки на это сообщение , 4 коммент.